David Karp (b. July 6, 1986) is a software developer and founder of popular blogging platform Tumblr. Recently, Tumblr was acquired by Yahoo! for $1.1 billion. Karp will remain as CEO for the hugely successful platform. Born and raised on the Upper West Side of Manhattan, David Karp embarked on his technical journey at the tender age of 11 when he started learning HTML and was soon designing websites for local businesses. 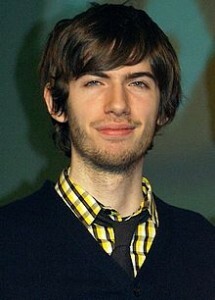 At 15, David Karp started homeschooling and had aspirations of getting into a college in New York. His parents, film and television composer Michael D. Karp and teacher Barbara Ackerman, saw homeschooling as a way to do other projects on the side. One of his projects included an internship at the animation company, Frederator Studios. Karp never received his high school diploma. Today, Tumblr features over 100 million blogs. In 2009, Karp was named Best Young Tech Entrepreneur and in 2010, he was recognized as one of the top 35 innovators in the world. As of September 2011, David Karp and partner Rachel Eakley, a chef and psychology graduate live together in Williamsburg with their pet dog, Clark. Karp is the older of two boys. From preschool through middle school, David Karp was a student at a private New York school where he was introduced to animation producer, Fred Seibert,founder of Frederator Studios. As a 14 year old, Karp began an internship for Seibert. Karp was captivated with the studio’s computer engineers whom he visited on a regular basis. Karp also became interested in learning Japanese and with the help of a math instructor he wrote a program for winning strategies at poker and blackjack. When UrbanBaby’s founder John Maloney needed programming help with online parenting platform, David Karp was recommended for the job. Karp finished the job (which should have taken several days) within hours. Seibert made Karp UrbanBaby’s head of product. Without telling his employer, Karp decided to move alone to Japan for five months. He was only 17 years old. In 2006, when UrbanBaby was acquired by CNET, Karp went on to form his own programming consulting firm, Davidville, where he worked with computer engineer Marco Arment, whom he met through a Craigslist job ad. By then, Karp’s interest in short form blogs was high that the two began work on a microblogging website, which was launched as Tumblr early 2007. Within just two weeks, Tumblr had nearly 80,000 users. Just a few months later, Karp needed to discontinue his software consulting business due to Tumblr’s overwhelming success. Davidville became Tumblr, Inc. In May 2013, Yahoo! bought Tumblr, which will be overseen by CEO, David Karp.